two happiness characters. $19.95 from Mountain View-based Beau-coup.com. polka dot cake by Superfine Bakery. these 3-inch polymer-clay birds are available in every color of the rainbow. 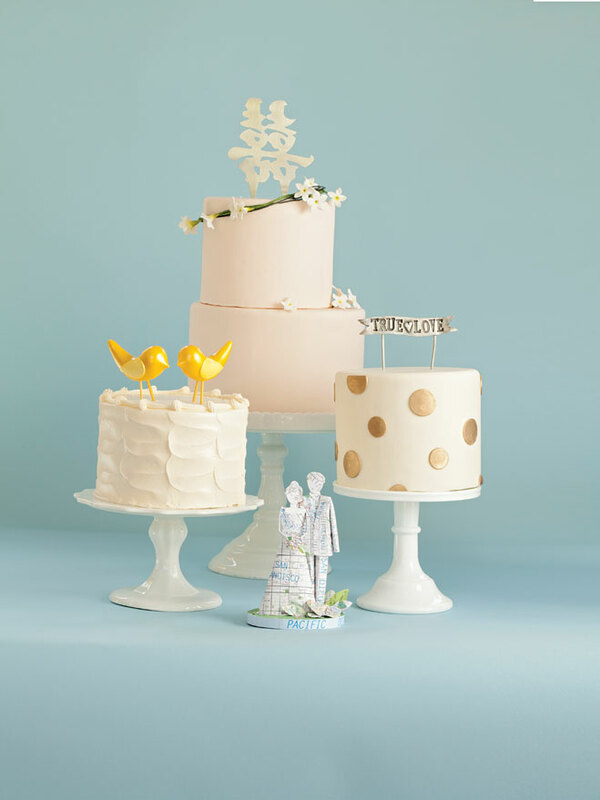 No longer content to eat just cake, couples are including decadent spreads of petite treats.